The 337-pages paperback-book (ISBN 978-3-7785-4048-0) was published by Huethig. The authors have re-chaptered and partly reviewed the German edition, which was published in 2007. 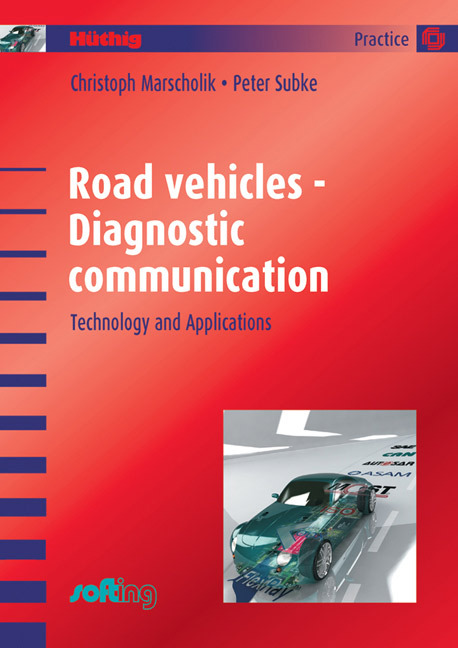 The book gives an overview about the relevant bus technologies used in passenger cars including CAN and the CAN-based diagnostic communication. Most parts of the book, deal with diagnostic protocols (some are based on CAN), unified diagnostic services, and other topics such as (ODX) databases. The book discusses in detail the use of software tools based on the ASAM specifications. Missing in the book is the CAN Calibration Protocol. The authors reference the CAN 2.0 A/B Bosch specification, which is no longer valid. It has been substituted by the ISO 11898-1/2 international standards. The data flow diagrams simplify the understanding of the quite complex protocols, but readers do not particularly benefit from the product photos.